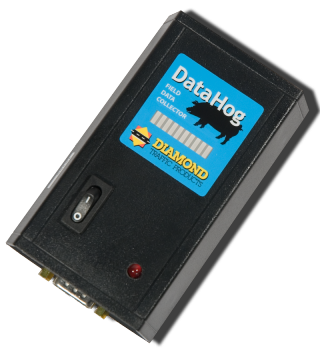 The Datahog is a portable data collection device for traffic counters. It will automatically connect to a traffic counter and download all the data files into its memory. Once all data has been collected, the Datahog is then connected to a PC where the data is easily transferred using the Centurion software program. Included with the Purchase of the Datahog is a Null Modem Cable.